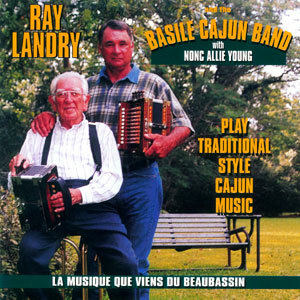 Ray loves his culture and he loves his heritage, but he REALLY loves his Cajun French music! When he contemplated recording a new CD, he contacted a group of very talented musicians whom he’d previously played or jammed with, including several sets of parents and children playing together. 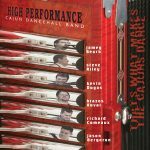 It is his hope this is the way Cajun music will continue to thrive into the next century… from generation to generation. 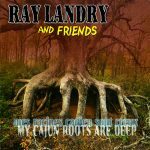 Musicians include Helene Boudreaux, Dexter Ardoin, Al Berard, Meagan Berard, Sheryl Cormier, Russel Cormier, Henry Hample, Terry Huval, Clarence Martin, Joel Martin, Mason Menard, Andre Michot, Blake Miller, Mitch Reed, Faren Serrett, Drew Simon, Robert Sonnier, Harry Trahan and Lisa Trahan. 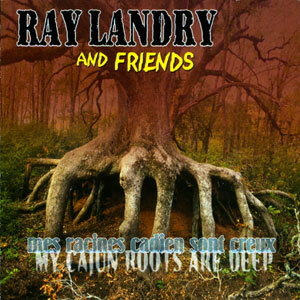 Mes racines Cadien sont creux contains several new songs plus new verses to some old favorites. Lyrics and translations to select songs are included. Released in December 2008, 14 tracks.